Last edited by Gretsch on March 27th, 2019, 2:34 pm, edited 1 time in total. Sounds like we're doing a blackout. Blank unis with blue numbers (similar to what we had in basketball) and black helmets. EDIT: I've posted the video to Twitter. Haha well let's hope they weren't planning some big reveal. I'm guessing that was probably it. I meant to us fans, but yah, players probably wouldn't keep something like that secret anyway. I love the excitement of the players. I appreciate that fans may like this. I don’t think I will unless they bring out a much brighter shade of blue than typical Aggie blue. Or unless we had nighttime “cammo” type jersey. From what I can tell, I’ll leave it at I don’t like this- but I’ll still cheer for the Aggies. I really liked the black basketball jersey's and still want one. I'm excited for this. I wonder if the helmets will be matte black or glossy. Also, is Turbin just doing a visit or is he maybe going to play more of a role if it looks like he’s done playing. Man, that would be awesome if he could help coach the running backs! Oh please no "cammo" ever on anything that touches the field. It very rarely looks good. Also we aren't a service academy. They seem to be the only ones that look half decent. Just scroll through this https://www.google.com/search?rlz=1C1GG ... ve&ssui=on and you'll see my dislike of camo jerseys. Last edited by thegreendalegelf on March 27th, 2019, 3:28 pm, edited 1 time in total. Oh please no "cammo" ever. On anything that touches the field. It very rarely looks good. Also we aren't a service academy. they seem to be the only ones that look half decent. Woof. Those ULM ones.... only in Louisiana. They look like they're planning to depart the stadium and immediately head to the deer hunt. 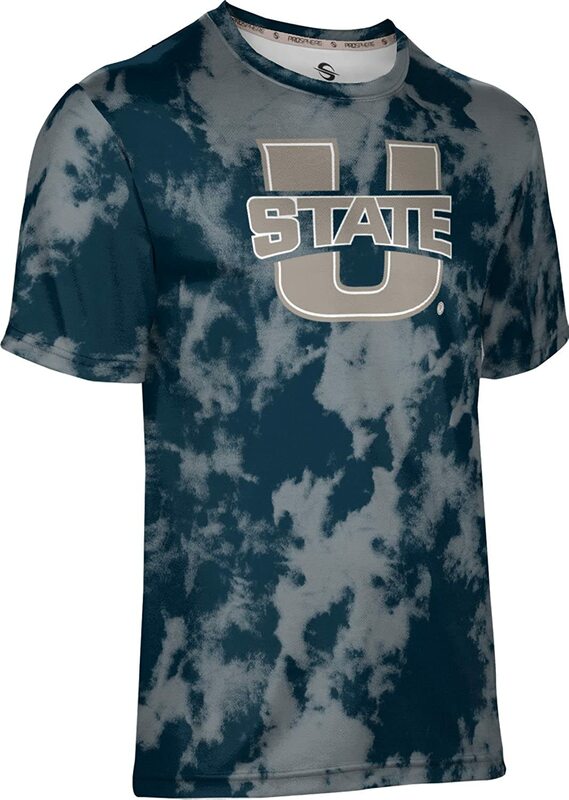 I had one and one only camo piece in mind - I think the U State logo (and only the U State logo) in a primarily white with some black, pewter and blue would look ok in a digital pattern. Sneak in a few small Easter eggs using positive/negative space on the u-State logo such as the A, a bull logo, old main, etc. But my main point of posting was not cammies. A simple navy blue and white camo pattern would look AWESOME! Last edited by ViAggie on March 27th, 2019, 3:30 pm, edited 1 time in total. Rob is defintitely NOT done playing. He was in town working out for scouts at Pro Day and is confident that he will land a contract soon. Bruce Irvin was still in town hanging out a Pro Day as well. I can't say that I'm particularly amped about black jerseys. We are the Aggie blue and fighting white. Regardless, if there's a blackout game, I'll be there in black. I agree, but there's probably a net benefit to having a blackout game. I think it is something that both the students and the athletes really enjoy, and it typically helps attendance. Used against the right opponent, it's a pretty good thing. I am in general not a fan of camo unless you are hunting. I don't think it looks good really ever. It works for service academies but that's about it. What is Bruce Irvin doing in Logan? Is he just here hanging out with Turbin? I prefer a whiteout over a blackout because black isn’t one of our colors, but I think the positives outweigh the negatives and people will be excited about a blackout. I’ve said it before and I’ll say it again, if you’re going to do a black uniform, there absolutely cannot be any blue on it. Blue and black do not go together. Just use black and pewter, nothing else. It’s not that hard. How about just get some matching home and away jerseys that are the same pattern? The mismatched jerseys this past season bugged me. Oh, great! I'm gonna have to get another suit! About damn time we got a black football uniform. I hope they have some for sale. The sad thing is I could legitimately see them adding black pieces into the rotation of mix and match. I'm not opposed to black jerseys, but black on navy blue kind of drives me crazy. I think pewter on the black jersey would be incredible. But I guess the basketball unis looked alright. Additionally, I really like my blackout shirt from a couple years ago. 10/10 would buy another. Pewter lettering and numbering would in fact look super cool on the black. Sounds like the navy blue on black is already being worked by Nike, though. As long as nike keeps our players knees intact (can they tho? ), I can live with that. All this black and pewter talk... Who are we? The Raiders? Not Rob's connection. He played with Bojay. Rob is not done playing. He'll be on a team this year.